The 2009 Nissan Titan gets minor upgrades and equipment repackaging. 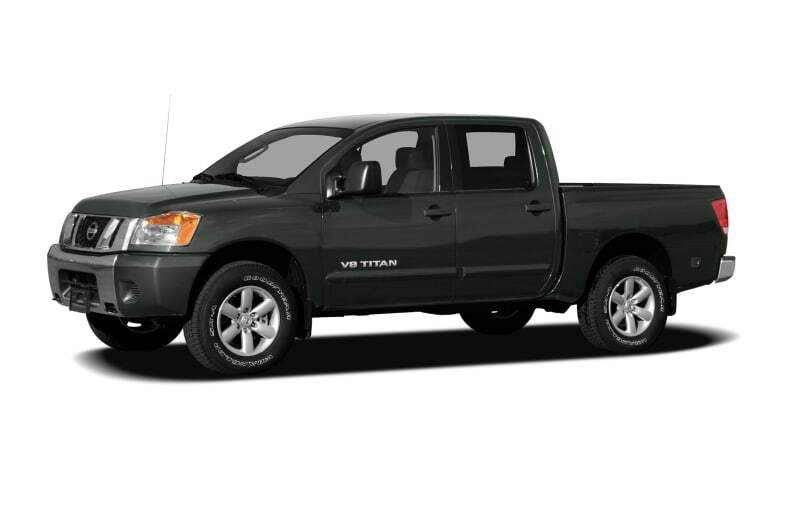 Titan was redesigned for 2008 and delivers truck capability and tough-guy truck image with enough refinement to appeal to a broad range of drivers and occupants. Among the changes for 2009 are a matte-finish grille and body-colored bumper for the Titan XE, automatic locking on all models with power door locks, standard 18-inch wheels, and a Max-Utility package that combines much of the previous utility and towing packages into one. Short- and long-bed models are offered, the latter among the largest half-tons with good bed space, cabin room, and towing and fuel capacity. Inside, the 2008 redesign gave the Nissan Titan an attractive, user-friendly interior. There's plenty of room for a growing family of five or four big outdoorsmen out for weekend recreation. Titans range from utilitarian models with crank windows to leather-lined cabs befitting a luxurious sport-utility. Titan's proven and powerful V8 and automatic is a stout engine raced at more than twice its street-legal 317 horsepower. Nothing like this gets good gas mileage and if you have no plans to haul stuff around or tow anything, the Titan will be overkill. When you do haul or tow, you'll find the Titan a highly capable half-ton pickup with features useful for towing and hauling. In part because of the engine, the Titan leans to the sporty and heavy-user ends of the pickup truck spectrum. Obviously it can be used on a daily basis and perhaps on an overcast day it might just blend in, but the Titan is more outgoing than that and would prefer a home with an adventurous family, busy independent contractor or landscaper, hard-core four wheeler towing a buggy, or on the job site tending to fickle foremen and agitated architects: At least on the weekdays. If you need a full-size pickup with power to perform and plenty of room, the Nissan Titan should be on your shopping list.